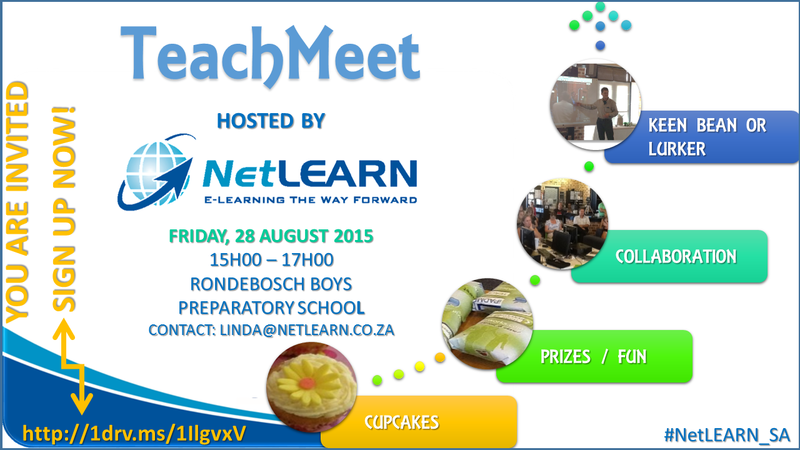 DON’T MISS THESE TWO FANTASTIC OPPORTUNITIES TO COLLABORATE AT TEACHMEETS LINED UP FOR JULY AND AUGUST. THESE MEETS WILL COVER ALL PRESENTATIONS FOR ALL GRADES, TECHNOLOGIES, DEVICES AND PLATFORMS. What a wonderful experience I was afforded being accepted for two presentations at the recent Google Summit. It was a huge learning curve for me. I plucked up the courage and entered the 3 minute Demo Slam as well. Thought I might as well give it a shot to challenge myself! 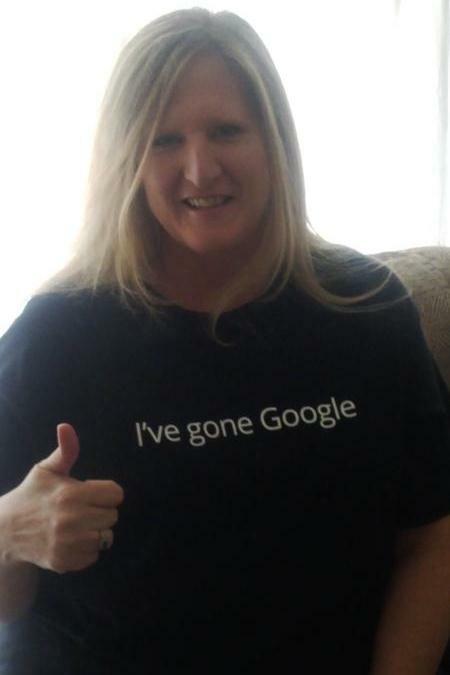 Although extremely nervous and kept asking myself “why did you enter everything?” was sincerely glad I stretched myself, got to meet wonderful passionate educators, opened a world of exciting Google possibilities, and connected with the professional Google EdTechTeam and SchoolNet staff. 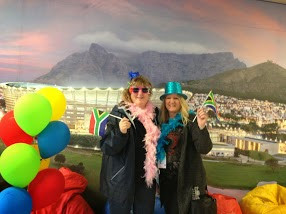 It was a fabulous, well organised event. Thanks to the EdTechTeam, SchoolNet and last but not least, to the Parklands College team who made sure everything was perfect for the presenters – most of all for making us feel supported throughout the event. 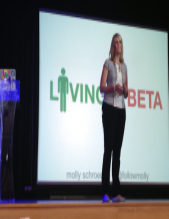 Molly Schroeder’s keynote on “Living in Beta” was outstanding. This was the most inspiring keynote for me – Molly has so much passion, and captivates her audience – truly an exceptional speaker. The keynote not only made me ponder a great deal but also sent the message that we are all “living in beta” and it is okay not to know everything…this made me feel so at ease for my presentations that day! Another enjoyment was to stand at the back of the main hall and see devices in so many of the delegates hands. Really proves that transformation is in progress and our students are going to benefit greatly from the experiences we can offer them as educators. So, remember when you are preparing a BYOD lesson for your students that it is okay to facilitate the process and learn from others, even as educators, one does not need to know everything. If something goes wrong, just change your course and set sail on a path of discovery. It is not only rewarding but exciting, and best of all you are PD’ing yourself – the best training happens when you are actively engaged in something you want to achieve and use in the classroom and/or administratively. Using Voice Comments to collect student homework – Voice Commenting, Text Commenting and adding Research links to the dashboard for student problem solving. For the Demo Slam [see below video] I presented for 3 minutes on creating Citations using Google Apps and Extensions. The title was Ex…Cit(e)…able…Google. Ex for extension and Cit(e) for citations. One of my top students for the Microsoft Office Specialist Champs, Shaun Nothard, attended both my sessions in order to support the audience should they require help with their devices throughout my sessions. It was a challenge to reach everyone in the audience as devices differed [Laptop, iMac, iPad, Galaxy Tab or Notes, iPhones, Blackberry and so on. Much like our BYOD programme at school. Shaun did an amazing job and interacted so well with the audience during the second presentation using Voice Comments. Shaun got to troubleshoot with the audience, and supported me with demonstration from the student perspective. Here is a pic of us in our session – troubleshooting voice comments prior to the session – living in beta lol. After all, we are at the conference to learn new things to excite and enthuse our students! We had a really awesome get together for presenters at Moyo on the first evening. Looking ahead, I am pondering over applying for the Google Educator and Google Trainer programs. I’m also eager to share the possibilities of using Google Tools in education through a series of workshops at my school. I am definitely going to “re-organize” my YouTube channel after Molly’s session on Flipping your classroom with Sites, YouTube and Forms. Hangouts is another tool I want to play around with more for educational purposes. Another question I have pondering “up there” is whether to move Google+ or keep Facebook and my blog running? I need to really think this over and experiment as there seems to be a huge following on Google+. One wants an easy flow to posting and reaching individuals for the benefit of education and for any personal business ventures across all platforms…any thoughts on this anyone? Are you posting more on Google+ or do you still visit Facebook as frequently as you did before? Google+ seems so much more integrated on every level. For instance, I wanted to skype my son in London…always have a terrible connection and is really frustrating. We have tried Webex meetings, and Skype and either get no video but audio, video but no audio, or nothing…but Hangouts seems so much more accommodating. Using Scripts on devices is another avenue I want to explore more as well as making Google Apps. Lots of learning ahead for me! Cannot wait! The views, opinions, positions, or strategies expressed in this blog by the author and those providing comments are theirs alone, and do not necessarily reflect the views, opinions, positions or strategies of the institutions to which the author is affiliated.